It has been November already. Everyone should get prepared for their suits in the coming winter. 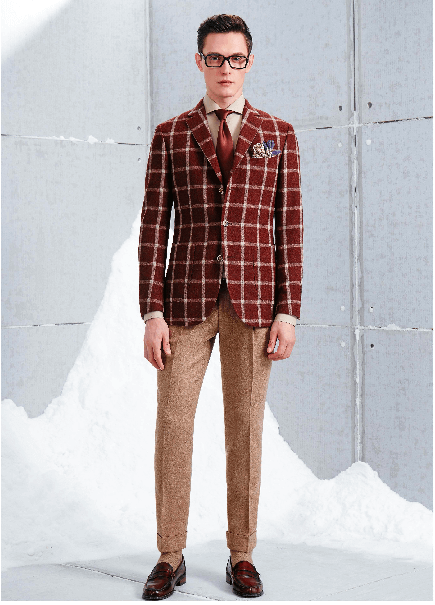 Maybe you will ask, what is the difference between summer suits and winter suits? 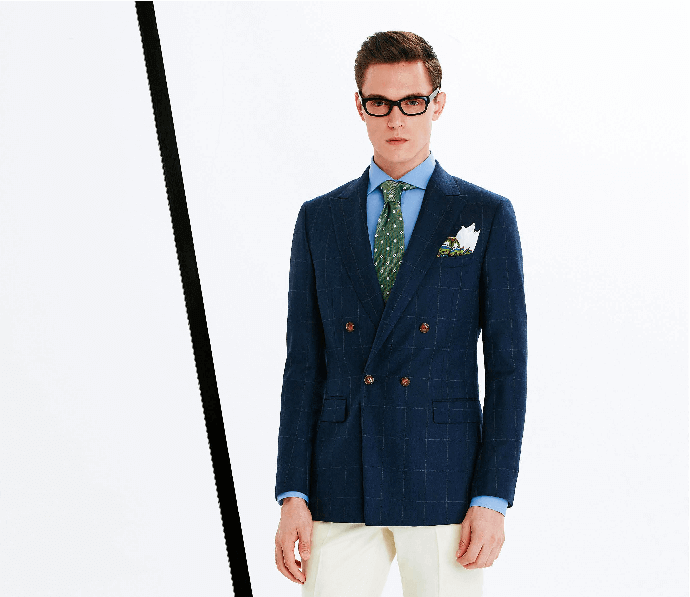 What is the best suit fabric for each season? Most of them are in the dull colors such as black, white and gray. You may also doubt its patterns are only stripes in different width. However, it is not as easy as you imagine. 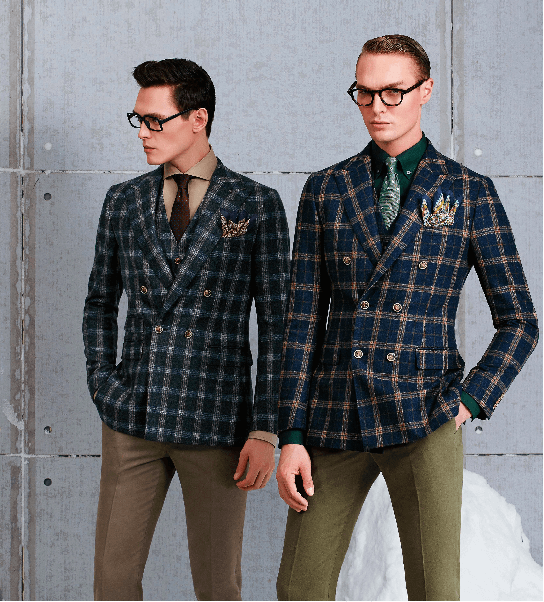 Let’s get a three-piece suit for your winter. A top coat with different color from the suit also brightens your outfit. It could be absolutely freezing in winter times. The suit which kept you sweating in the summer, won’t be able to keep you warm enough for the winter. 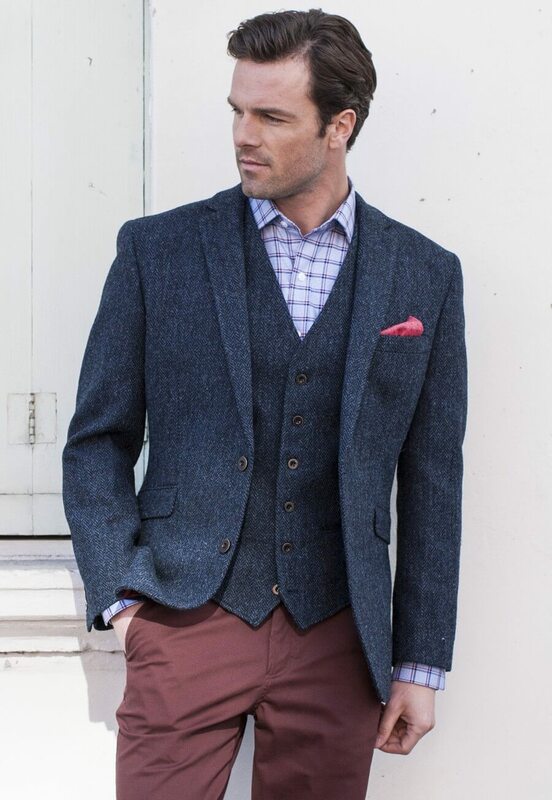 Other than the normal two-piece suit, it is also a possibility to add a vest underneath you suit to keep you warm. When you are extremely cold, you can also wear a top coat, which is longer than a blazer, keeping your legs warm. 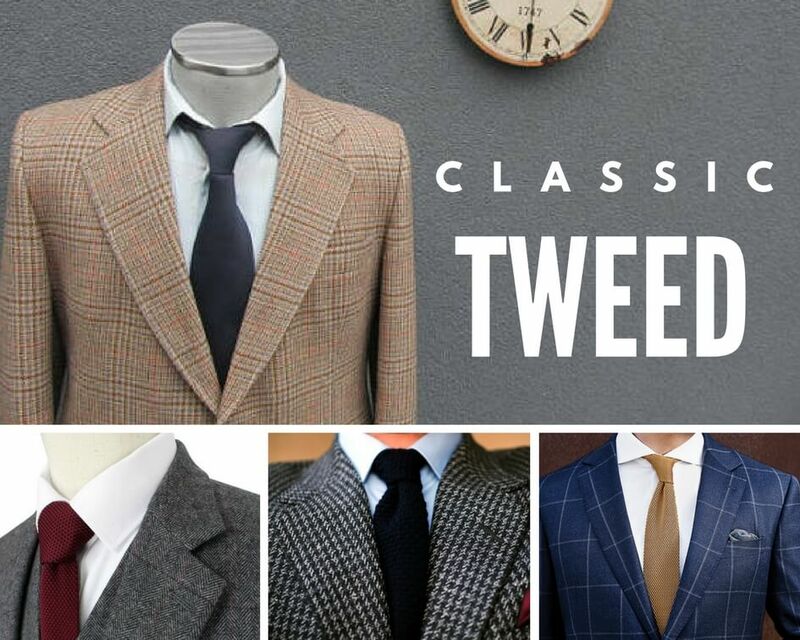 For best suit fabrics, Scottish tweed is an ideal choice for your jacket and top coat. A traditional tweed is knitted by hand. Its texture is relatively thick and coarse. Apart from the ability of keeping warm, its variety of patterns also can give you a smell of winter. 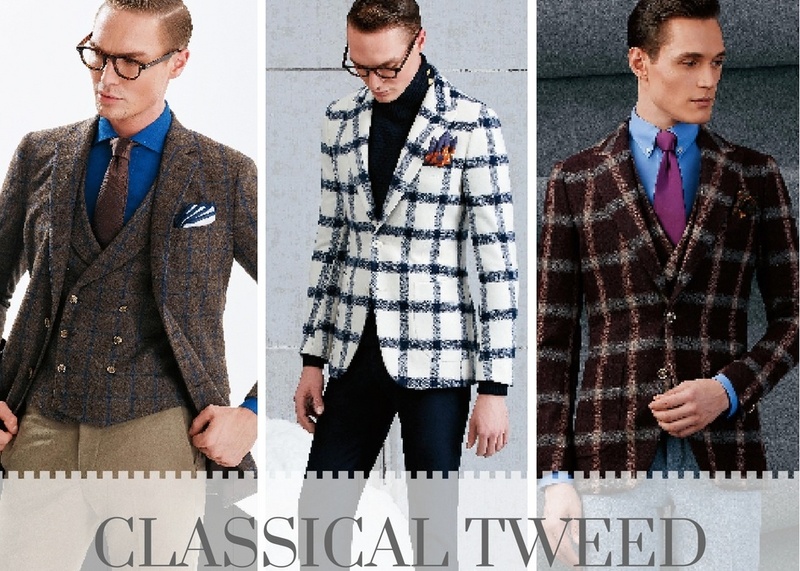 Classical tweed patterns may include windowpane, herringbone, gun club and houndstooth. They can appear on different color tones, such as dark slate gray and navy. The trendy earth tone colors including light brown and khaki are also suitable for the tweed patterns. Among all the tweeds, Harris tweed is the most traditional one, which is made of the purely new wool, coming from the first time shearing wool of every sheep. The production of Harris tweed is under the strict regulations. From dying, carding to spinning and weaving. Every process will be inspected by officials, ensuring the top quality. 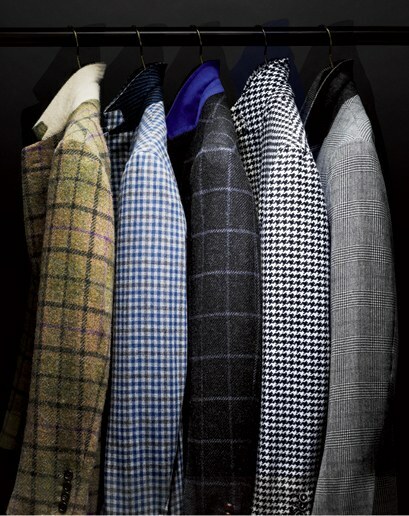 Fabrics at L&K Bespoke Tailor are supplied from Marzoni, with a full collection of tweed. The variety of choices allows you to attend different occasions, such as business, banquets and leisure time. The gun club pattern on the brown suit brightens the dull tone. 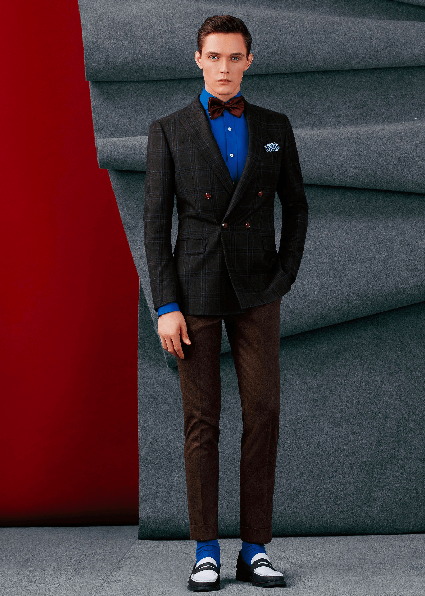 The brick red jacket matches well with the trousers, highlights your fashion sense in color matching. The navy blue blazer with light grid lines, has a subtle style. To get a winter with quality tweed suit, make an appointment here with L&K Bespoke Tailor, grasping the chance of choosing popular fabrics.